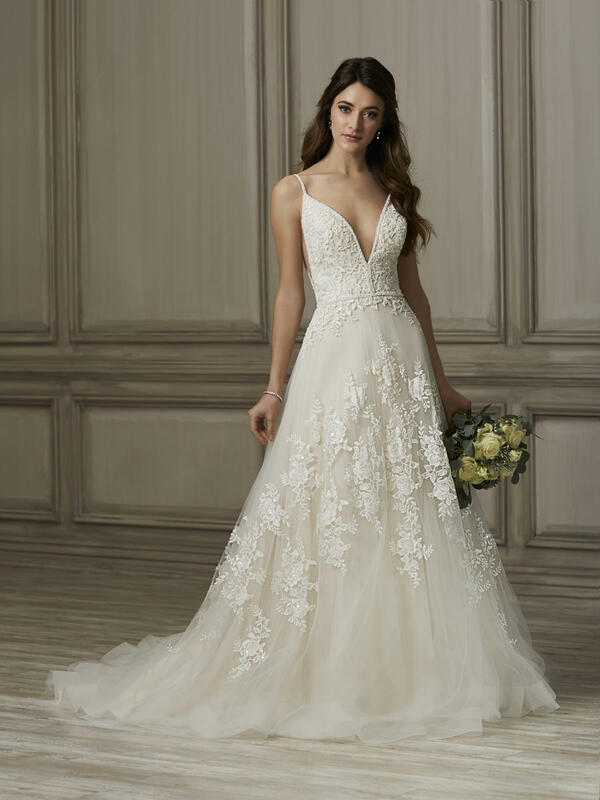 This romantic, A-line gown features a beautifully placed, lace applique layout. The bodice is covered in beaded floral appliques that then trail to the skirt. The appliques form a pattern on the skirt that wraps to the back. The neckline is plunging, and the cutout sides have an illusion insert for added support and coverage. The back neckline plunges to a deep V. The neckline and straps are beaded while a beaded belt wraps around the waist. The hem of the tulle skirt is finished with a wide horsehair trim.